The holidays are over. Sigh. I’m a little sad to tell you the truth – I love Christmastime. I’m not a big fan of New Year’s Eve, but I was out celebrating with family and friends. So, my readers, what did I do with my hair? Well, I thought that I’d be in wigs for the next month, but I realized this weekend that that just wouldn’t work. I am getting bored again! Guy, I really have to settle down with these hairstyles. 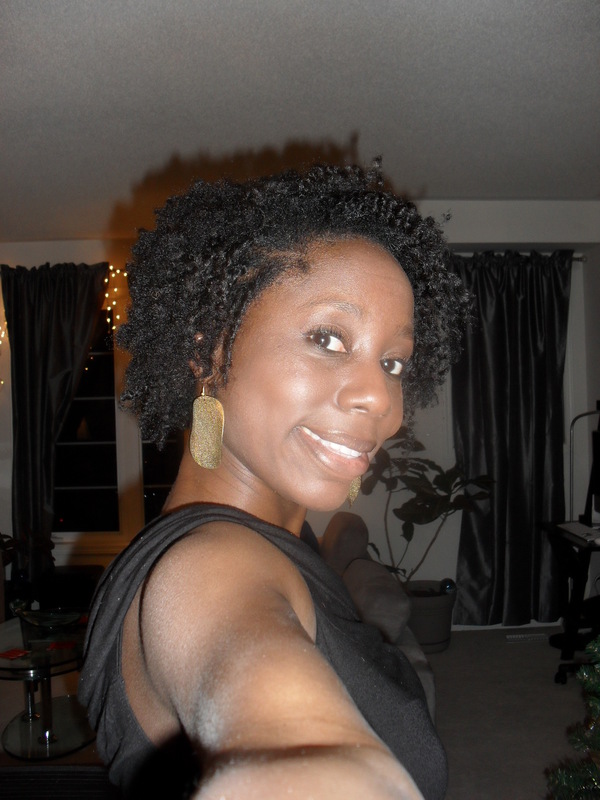 If I’m going to benefit from the Hairlista Healthy Ends Challenge, I have to keep up with my protective styles. But, I did have to break the challenge for the holidays… well, only once during the holidays. Take a look at my holiday hair. Cheese! This is Korina for the holidays. She's a bit shiny, but not as bad as some of the wigs I've seen. You can't see my lovely Christmas tree that the Hubby and my dad put up. First up, Korina – one of my two wigs from NYC. This was the easiest hair do that I’ve done – the wig is easy to put on and looks real. In the picture it’s kinda shiny, but no one knew that I was rocking a wig until I told them. Now, I don’t know if people were just not saying anything as to not be rude or if they really didn’t realize that I was wearing Korina. 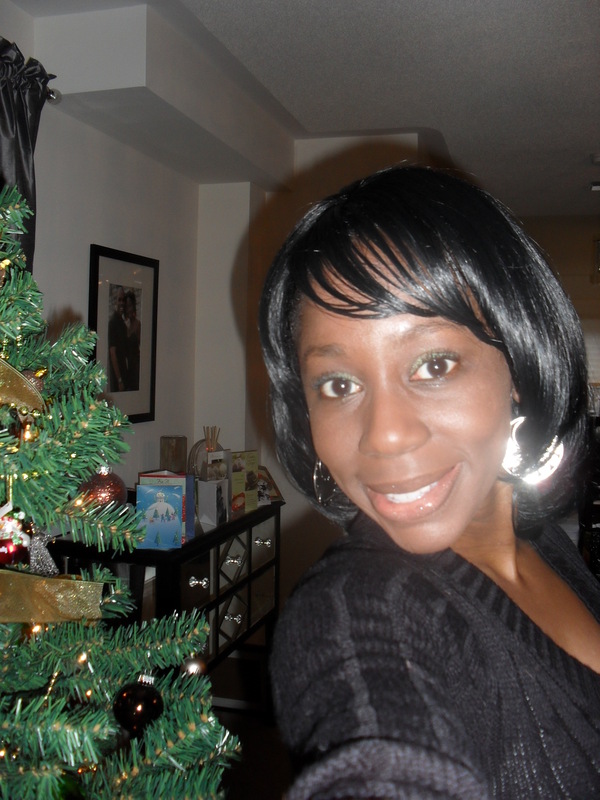 I rocked this style Christmas week – two church services and Christmas dinner with the family and I’ve realized, it’s my ride or die wig. The only issue is that it sheds like no one’s business. If this continues, I’ll be bald by March. 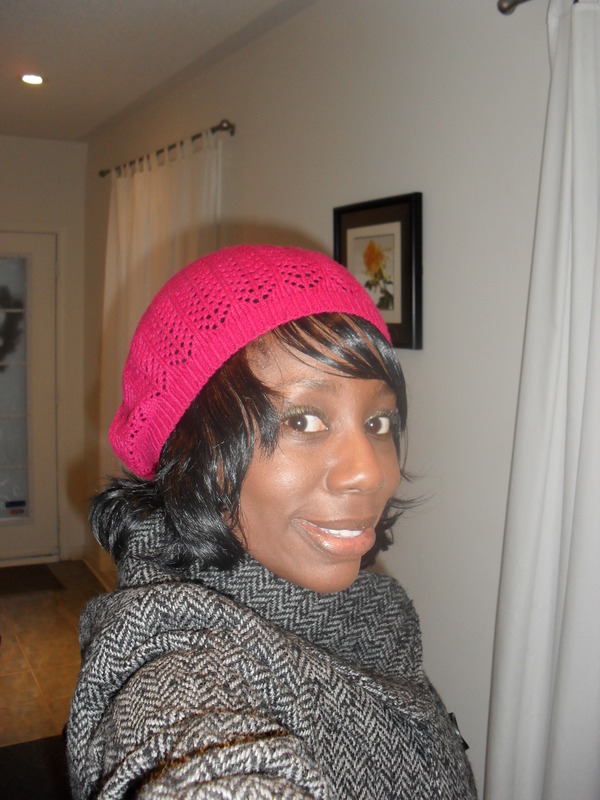 As the weather was getting colder, I rocked this with my little fuchsia pink beret – aren’t I cute? What I love most about the wig is that my hair is happily moisturized and protected underneath it. On Sunday, the Hubby and I hosted a holiday party and I unfurled my hair for the first time in a long time – nine weeks, I think. I had been wearing it flat twisted underneath the wig and when I untwisted it, it was a big, wavy, curly, crazy ‘fro! Now, I still have issues with flat twisting – the knots that I had to deal with the next day when I washed my hair were ridiculous. I don’t know what I have to do to stop that – if my technique is off or what, but I’m not impressed by how my hair reacts to flat twists. I could have blended a little better in the front, but it still looks pretty hot. Don't mind my ashy arm -- I took care of that quickly. That being said, it looked HOT on Sunday night. Hot enough that a number of the ladies who were at my house wanted to talk hair. So, the week between Christmas and New Year’s, I decided to try out Isis TP08. 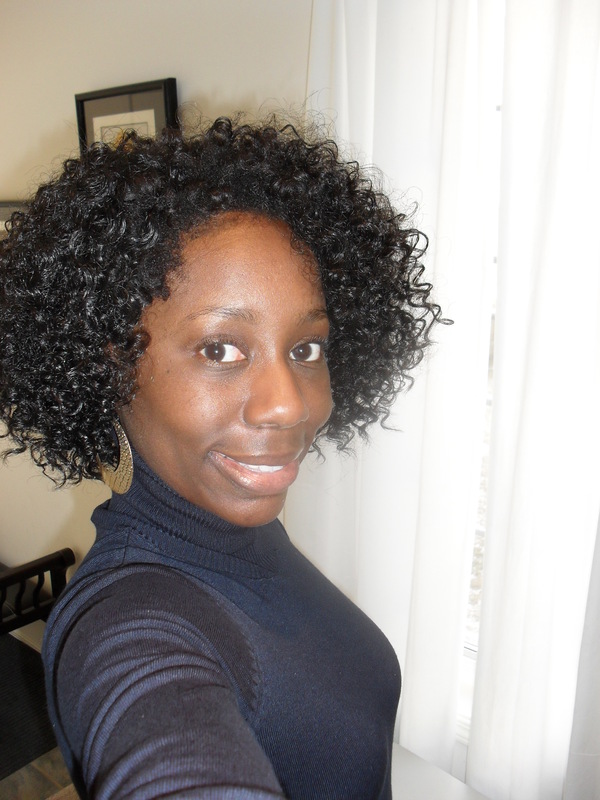 I set the front of my hair in perm rods, because I knew I was going to have to blend my hair with the wig. I was a bit overzealous and rolled a lot of hair – I really only had to do a small square in the front. I tried it on Tuesday morning – the family was rolling out and going downtown – and I looked like a Supreme! For real, I was all Diana Ross. Ain't it big? I enjoy the largeness of it but, cheese on bread, that's a lot of hair. It’s a nice wig – the hair is super soft but, my goodness, that’s a lot of hair. The wig is huge! I like it, but trying to stuff it into a hat was a feat. I wore it shopping and I wore it to the spa and it kept getting into the way. The wig is cool and it’s going to be worn again, but it has to be relegated to ‘I’m going out and I want to make a statement’ wig pile. I should have worn it out on New Year’s Eve – but I hadn’t re-curled my hair, unfortunately. I was going to wear the flat twist-out, but my hair didn’t set well. So, I had to go back to my new Old Faithful, Korina. The holidays were fun – now we’re back to the grind and dealing with a good four months of winter (and winter ain’t no joke in this country). Sigh, there isn’t even an upcoming holiday for me to start preparing for. But it is pretty and it’s a perfect match for my henna’ed hair, which is a challenge in and of itself. LOL! It’s cute, isn’t it? I was considering wearing it out tonight — the Hubby and some friends are going out — but I’m scared that all that hair will make me hot. I may — or ask my hairdresser to — do some snipping to see if I can get it under control. I have to search the Zury Moca online to see what it looks like. I finally found the TP-08 on ebay. I’m going to order the 4. The only other option is the f1b/30 but I’m afraid it will be to light in color. I like for my wigs to be natural looking. The online picture of the Moco that I have doesn’t do it justice. It a beauty after the cut. That’s the scary thing — I wanted to buy the wigs online, but who knows what it really looks like until you see it in person? You have to post pictures when you get it!